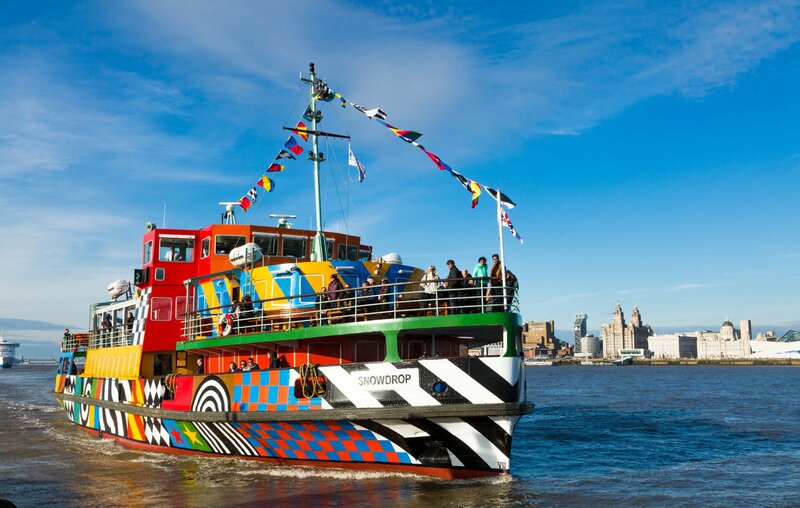 If you are looking for a perfect night out in Liverpool why not join Mersey Ferries for a Summer Evening Cruise on the River Mersey. The popular two hour evening cruises feature live music, a licensed bar and spectacular views of Liverpool’s unique UNESCO World Heritage Waterfront. Enjoy a night out with a difference for only £13.95 per person. Boarding at Seacombe, Wirral at 7.30pm and Pier Head, Liverpool at 7.40pm. The cruise lasts approximately 2 hours. Enjoy an evening of super sleuthing to solve the case that will unfold before your eyes whilst you enjoy an evening cruise on the iconic Mersey Ferry. Tickets cost £25 per person; a light supper of homemade scouse will be served during the cruise. A licensed bar will also be available. After several months at sea, the crew of the science vessel, ‘Pathfinder’, are returning victorious – for they have found their precious cargo. Only one man knows what the mysterious cargo really is, and after being kept in the dark for so long, the men and women around him are growing murderously curious…Follow the clues, interrogate suspects and discover who the murderer is! A ship littered with corpses, dead rats and disease. The captain is dead. The vessel is being crewed and steered by those who remain. There’s a storm brewing on the horizon. There’s also a storm brewing on the ship. The naysayers deny a murderer – blaming the plague instead. Every day a new body, everybody pale and cold, seemingly without a mark. We only have to last out one more night. Land and home will be in sight within a day. But first, we have one more night left… the longest night of them all. Dance the night away on the Mersey Ferry with a special two hour music cruises. Tickets cost £15 per person and feature live music, a licensed bar and incredible views of Liverpool’s waterfront. Join us on a musical journey through some of Hollywood’s greatest movies – featuring live performances of the songs and scenes that make the movies so memorable. From the classics of the golden era to the present day greats. Your Journey will be a whistle-stop tour that pauses briefly in Kansas (The Wizard of Oz), New York (Fame, West Side Story), the middle of the Atlantic Ocean (Titanic) and Kellerman’s Resort in Virginia (Dirty Dancing) – as well as numerous others from a host of your favourites! Our Rat Pack vs Divas cruise is not to be missed. Who will win this musical battle of the sexes? We begin by taking you back in time, to 1950s Las Vegas. Our Rat Pack crooners will recreate the show-stopping songs of Frank Sinatra, Dean Martin, Sammy Davis Jr. and many more. Sit back, have a drink and listen to famous Rat Pack tunes as you enjoy the first part of your cruise. Next it’s time to step up the tempo and bring on the ladies. Let’s go girls! The Divas will sing a variety of famous tunes from all musical genres. Listen to songs from icons such as Tina Turner, Marilyn Monroe, Whitney Houston, Queen, Prince and Beyonce. Get on your glad rags and come along to what promises to be a memorable night, as our two rival groups compete for the number one spot!